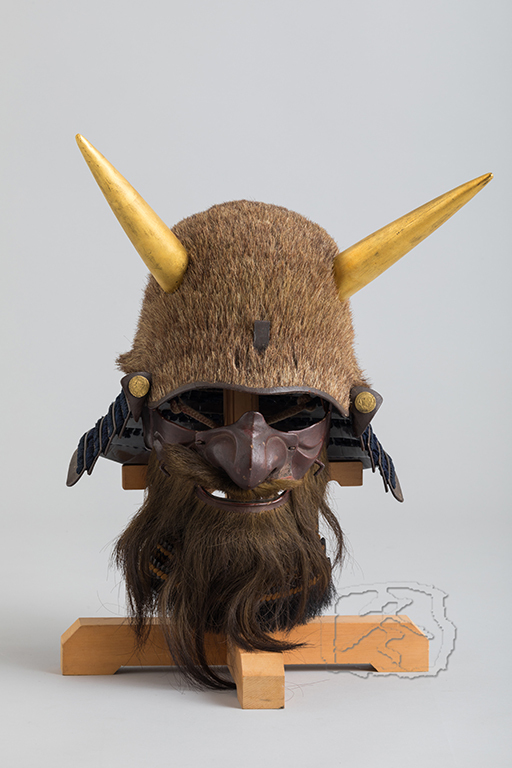 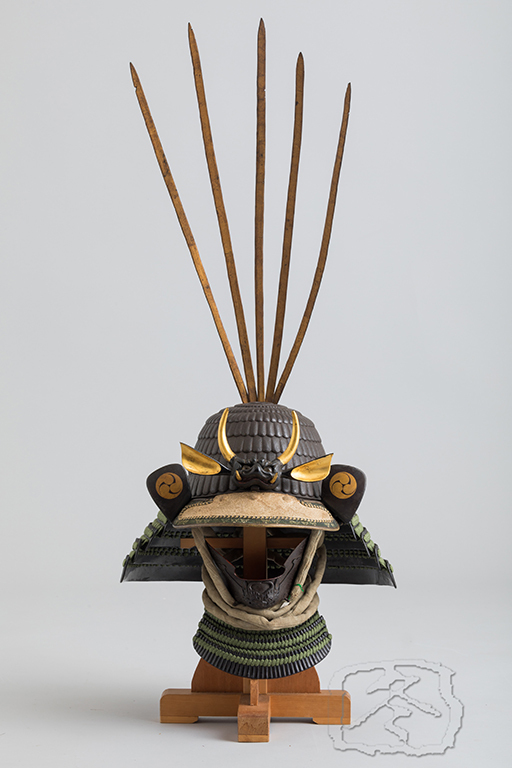 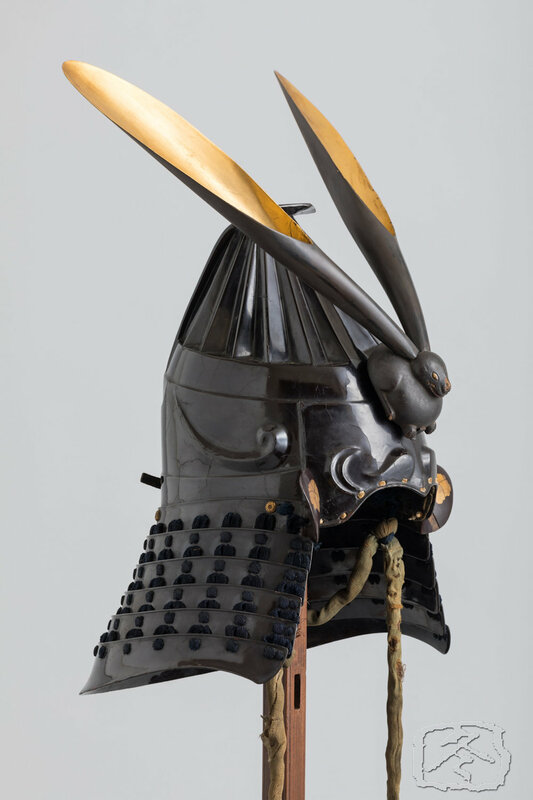 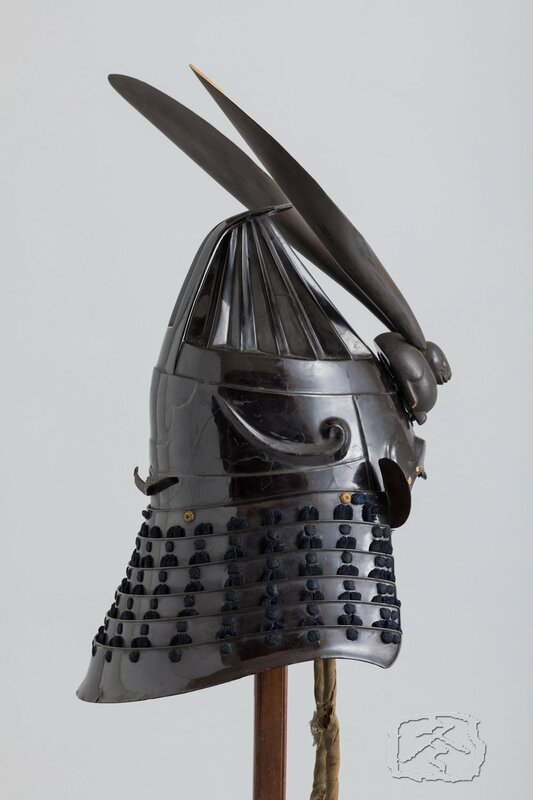 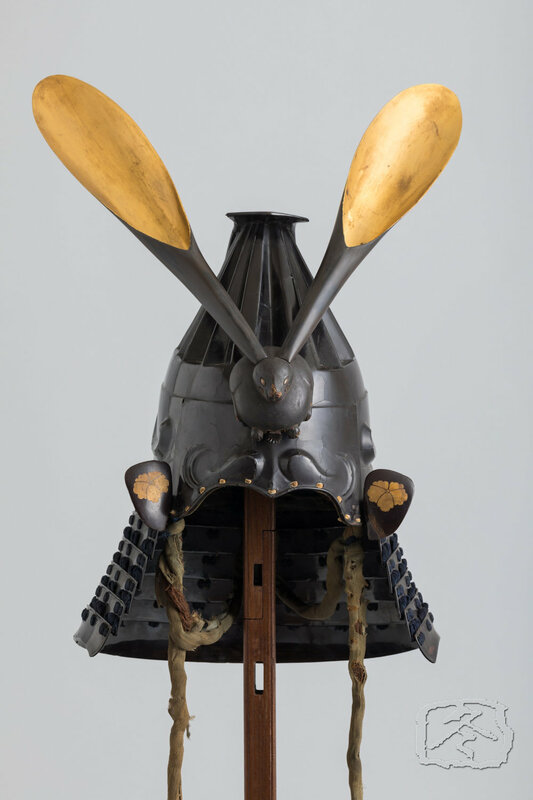 This Momoyama period black lacquered ‘zukin nari kabuto’ (helmet in the shape of a hood) has a typical period cusped ‘mabisashi’ (peak) with embossed eyebrows and fore head wrinkles. 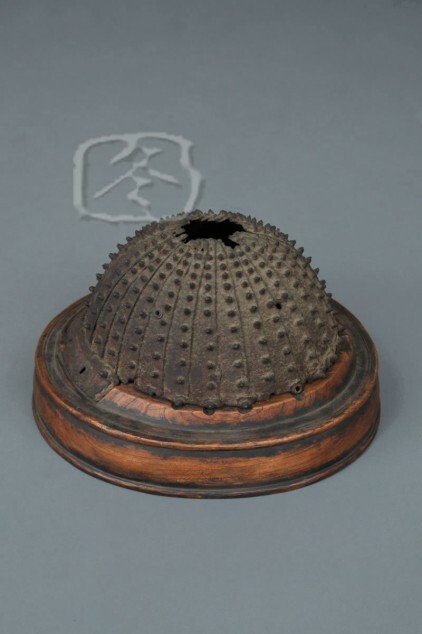 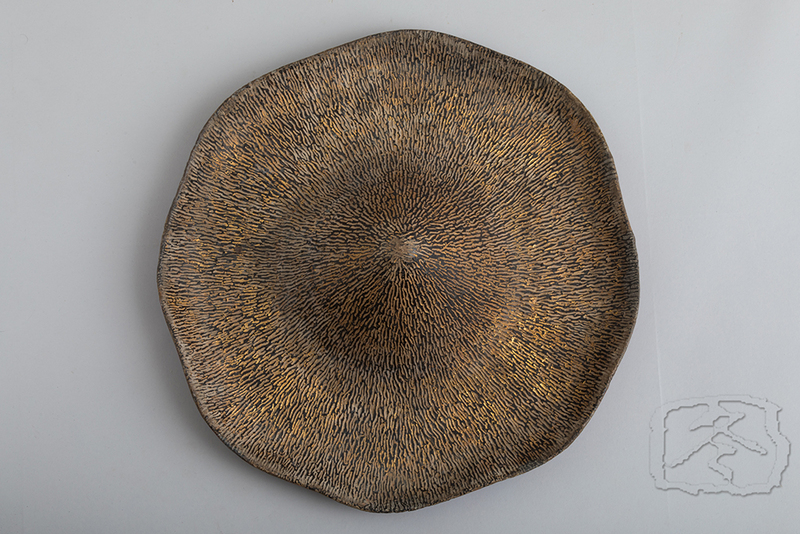 The helmet bowl has sharp and well defined embossing all over depicting the folds of a black silk hood. 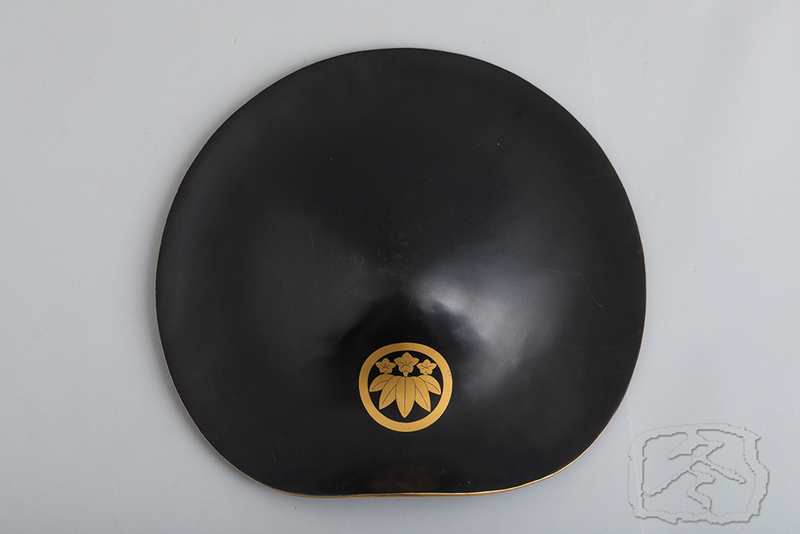 The small ‘fukigaeshi’ (turn backs) are decorated with the heraldry of the Sato clan of Ise in gold hiramakie lacquer technique. 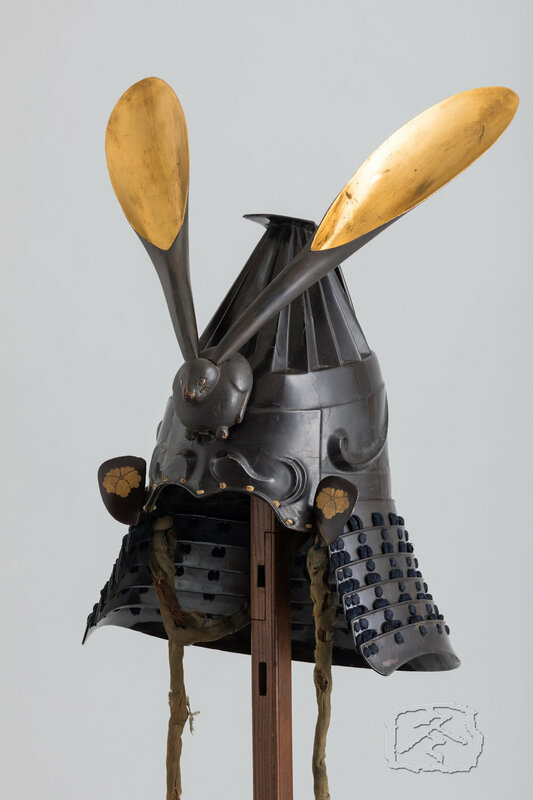 The front of the helmet is decorated with a ‘maedate’ (forecrest) in the form of a rabbit, carved from wood and gilded with silver leaf with outsize removable ears. 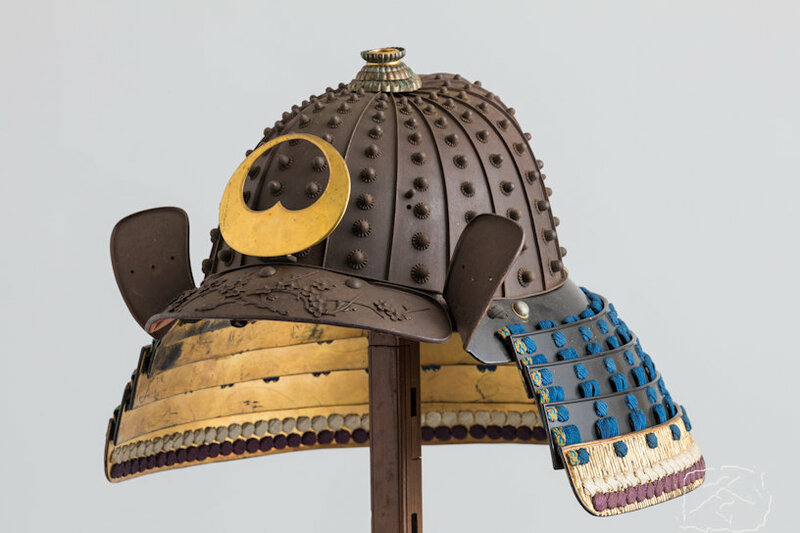 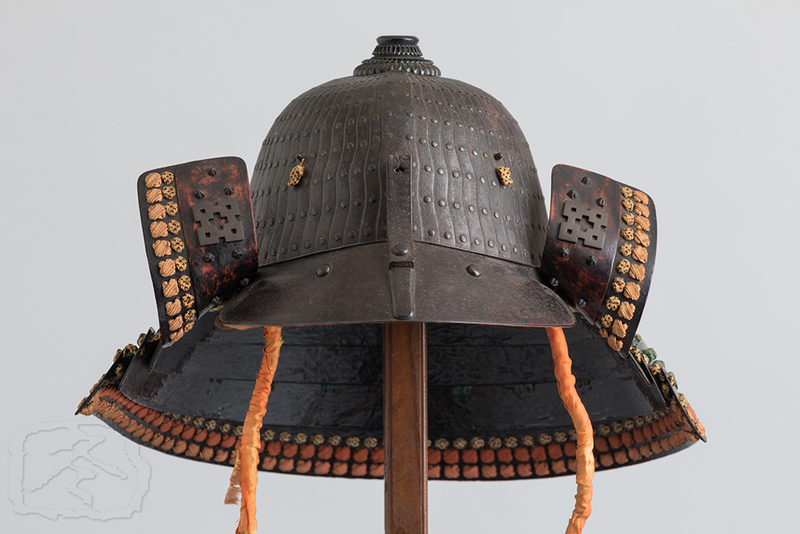 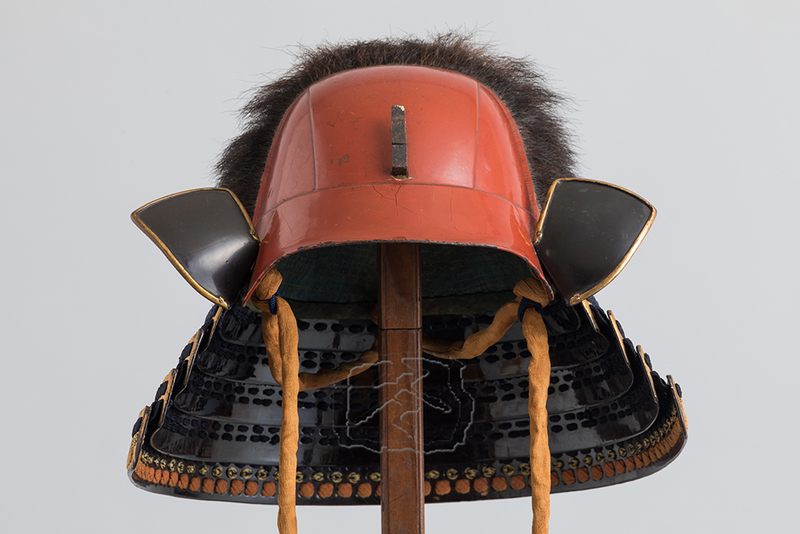 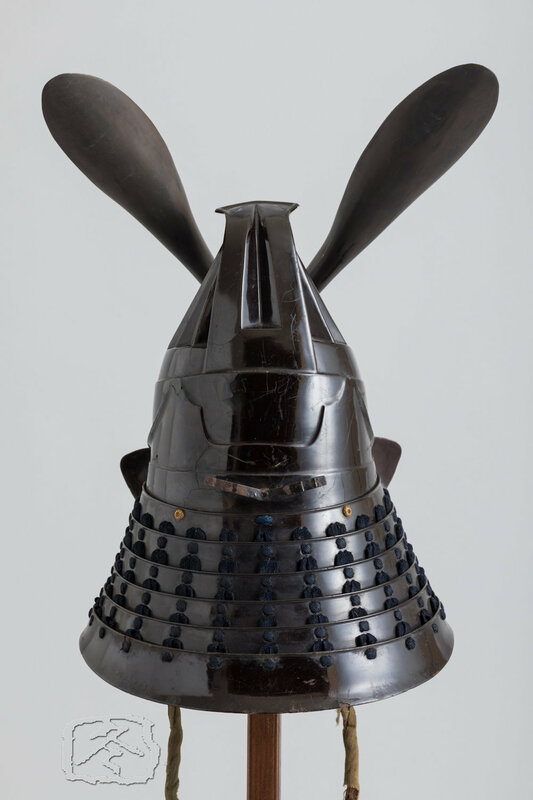 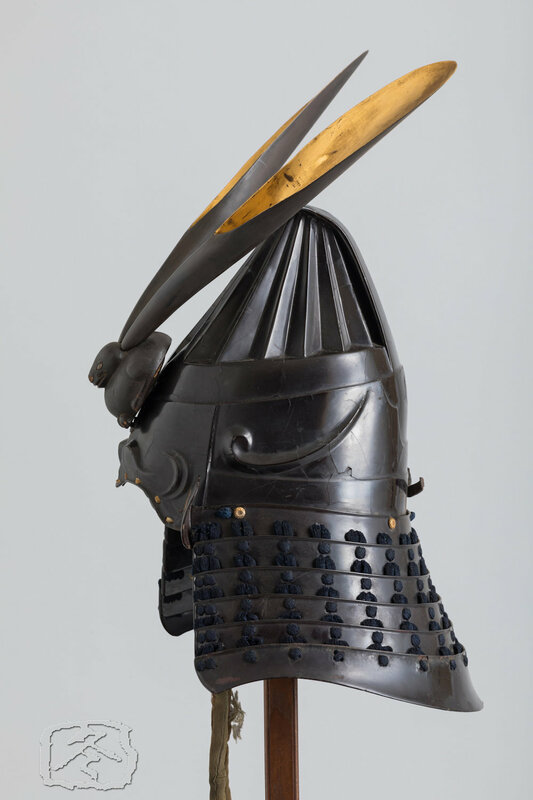 The ‘hineno shikoro’ (close fitting neck guard) is composed of six lames of black lacquered iron, secured with ‘sugake’ (wide spaced) navy blue silk lacing. 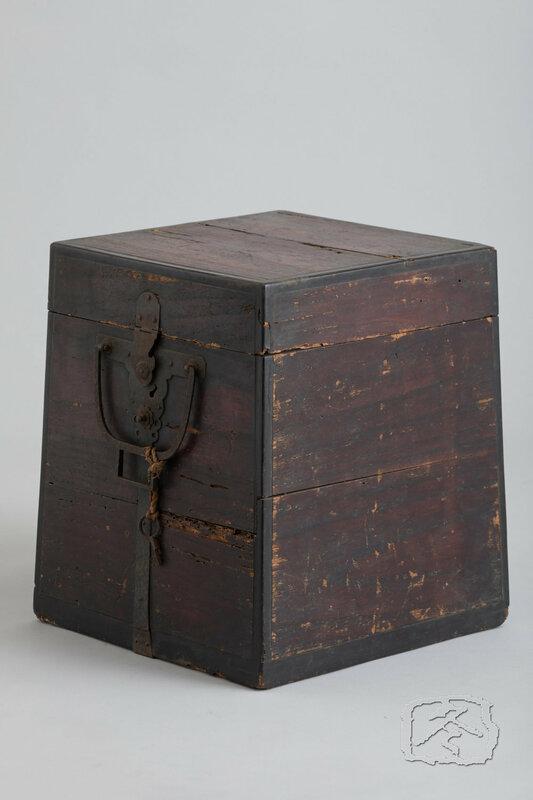 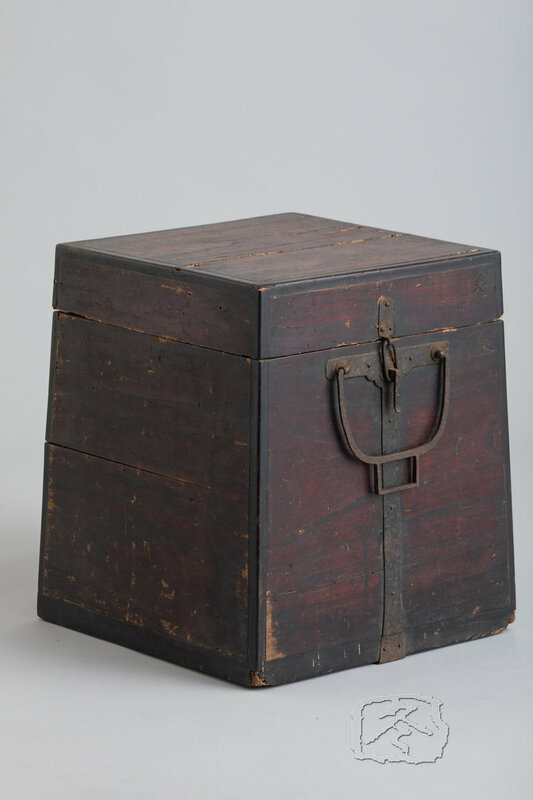 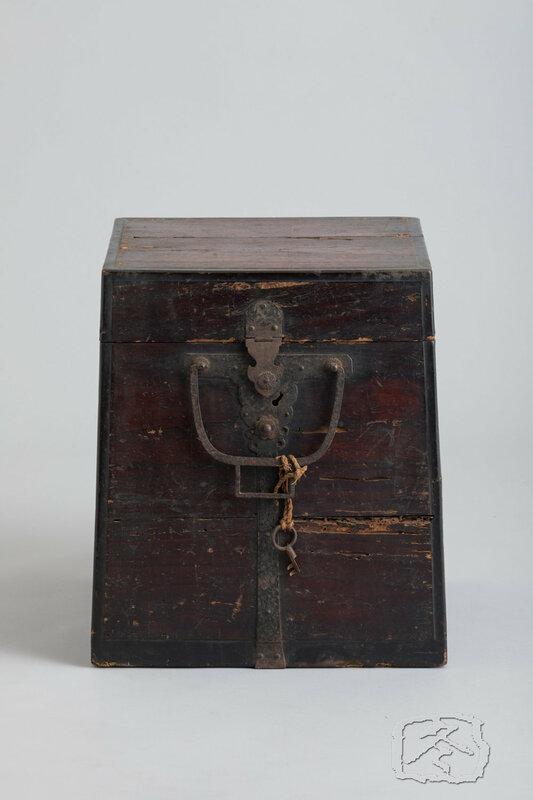 With original paulownia wood storage box.